← Genealogical Adam – an observation from Eridu. 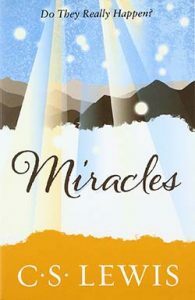 In his 1947 book Miracles, C S Lewis presents an argument against naturalism that has become one of the most influential philosophical arguments of its type of the last century. Very briefly, it says that under naturalism, mankind evolved purely by natural selection, for survival alone. His brain, therefore, could only (by the very tenets of materialistic evolutionary theory) be orientated towards survival, and not truth. There is no way then, under naturalism, that one could rely on human reason to discover truths about the world – including, of course, naturalism itself. A couple of things to note for starters. Lewis wasn’t setting out to prove that reason plays us false, though other philosophers have shown how difficult it would be to demonstrate this is not so. Rather it is that since reason does, by comment consent, discover truth, materialistic naturalism’s only explanation for it must be false. Consequently, Lewis throughout the rest of the book references human reason as an example of the “mundane supernatural,” partly to lessen objections to the concept of true miracles. One materialist objection to this, that you’ll have seen before in relation to things like irreducible complexity or the origin of life, is that given time, science will probably be able to provide a full explanation of the evolution of the mind. But this, Lewis says, is irrelevant, and not only because it is based merely on wishful thinking, not evidence. For any such explanation would still require to be arrived at through human reason – and it is the very reliability of that which is in question. 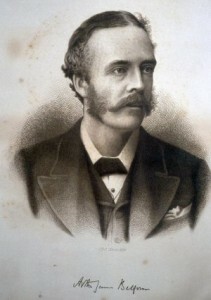 It’s likely that Lewis didn’t originate this argument, for a similar one had been made long before by Arthur Balfour, of whom Lewis was an admirer. But although there were some weaknesses in Lewis’s original presentation (though fewer than in mine here! ), many of which he corrected in subsequent editions, the general argument has not been refuted. Philosopher Victor Reppert, apart from writing an entire book developing several versions of the argument, continues to work on it. The fact that philosophers can build an entire career on arguments that bloggers like me state in three sentences ought to give some frequent commenters here pause for thought – and for deeper reading! That’s easier to understand than it seems: in prose it states that the probability (P) that we have reliable cognitive faculties (R), given naturalism (N) and evolution (E), is pretty low. Just as Lewis said. Plantinga’s argument develops along the line that a materialist naturalist who admits the logic of this finds support for the reliability of his reasoning, but also a “defeater” for his naturalism. He ought therefore to reject naturalism. But then with me the horrid doubt always arises whether the convictions of man’s mind, which has been developed from the mind of the lower animals, are of any value or at all trustworthy. Would any one trust in the convictions of a monkey’s mind, if there are any convictions in such a mind? But that inconsistency hasn’t stopped recent New Atheists from making exactly the same error in our own time. More than one has explained away religion as an arbitrary evolutionary development which, in some unspecified way, helped fitness whilst being totally untrue. The fact that this accusation applies equally to their own debunking of religion, and to their belief in evolutionary theory itself, escapes them. Lewis has words to say about that error, but I’ll leave those until the end. If my mental processes are determined wholly by the motions of atoms in my brain, I have no reason for supposing my beliefs are true … and hence I have no reason for supposing my brain to be composed of atoms. Irrefutable, isn’t it? And so as a philosophical argument, the argument from reason finds support, willing or unwitting, from all sides. And I suppose, since most Evolutionary Creationists have good things to say about C S Lewis, not many would want to be out of step with the world’s leading apologist, some of its best analytic philosophers, and mainstream evolutionists from Darwin through Haldane to Dawkins. The only real reason for disagreeing with it would seem to be hardline materialist convictions preferring logical incoherence to giving up naturalism. But I said above that the argument has been put in various forms for different purposes. With Plantinga’s analytic formulae, we take it is a philosophical argument. It’s about a metaphysical system, naturalism, and its relationship to a philosophical concept, reason. What’s for the Christian not to like? But I suggest it is quite possible, and also legitimate, to frame it as a scientific argument, since reason is axiomatic to the pursuit of science, so cannot be in doubt in that field. And evolution – as assumed in Lewis’s presentation to be a self-contained process of variation and natural selection – is a scientific theory of biology, no more and no less. And in essence, it’s the same theory now as it was in Lewis’s time, for under near-neutral theory, true reasoning is even less likely to arise than under adaptive natural selection. [The human mind] is set free, in the measure required, from the huge nexus of non-rational causation; free from this to be determined by the truth known. And the preliminary processes within Nature which led up to this liberation, if there were any, were designed to do so. [my emphasis]. Follow his logic: the argument from reason counts very strongly against naturalistic evolution. The best alternative is design, even if evolutionary processes were involved. Theism is the best, or one of the best, explanations for the scientific evidence of a true reasoning faculty, and so divine design is the best explanation of observed human cognition. There is thus a tendency in the study of Nature to make us forget the most obvious fact of all. And since the Sixteenth Century, when Science was born, the minds of men have been increasingly turned outward, to know Nature and to master her. They have been increasingly engaged on those specialised enquiries for which truncated thought is the correct method. It is therefore not in the least astonishing that they should have forgotten the evidence for the Supernatural. The deeply ingrained habit of truncated thought – what we call the “scientific” habit of mind [nowadays called “methodological naturalism” – Jon] – was indeed certain to lead to Naturalism, unless this tendency were continually corrected from some other source. But no other source was at hand, for during the same period men of science were coming to be metaphysically and theologically uneducated. Well, I’ll vouche for the “metaphysically and theologically uneducated” bit after eight years at BioLogos. So what response can the theistic evolutionist make to refute this conclusion and maintain that God’s work cannot be seen in nature? Well he can, I suppose, say that reason is the exception to the scientific rule, and is indeed beyond the reach of evolution, but maintain methodological naturalism in all other cases. In other words “This is our method, except when it suits us,” which is a nonsensical methodology. It would, however, be consistent with TEs’ habit of arbitrarily excluding the miracles of Christ from methodological naturalism, but only by allowing God’s activity one step nearer to the so-called “natural” realm. Or secondly he can reject Lewis’s argument from reason altogether, despite its solid foundation, finding some ingenious theological motive for agreeing with the most irrational materialists. I’d be interested to hear that reasoning. Or, perhaps, he could begin to explore what it is about human reason that places it beyond naturalism in the first place. 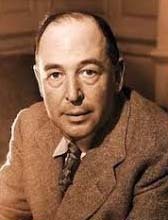 Part of that involves C S Lewis’s own contention, drawn I guess partly from Aquinas’s observations on the nature of reason as well as Genesis, that the human being is a fusion of the biological and the spiritual – that to be human is to be partly supernatural. Consider the significance of this for that endless thread on BioLogos about the origin of man and human “bottlenecks”, all carried on “under the assumption of no miraculous intervention by God.” That assumption itself appears to be an instance of Lewis’s “truncated thought.” How can it be true if man’s major distinctive, his rationality, is supernatural? But another thing for the TE to consider is whether the question might be partly that creation itself, and not just the creation of man’s reason, is beyond the natural. Once the metaphysics of naturalism fails, none of its conclusions can be taken on trust any more. What is this “Nature” so confidentally asserted to be operating without the direction of God? Lastly I could show fight on natural selection having done and doing more for the progress of civilisation than you seem inclined to admit. Remember what risks the nations of Europe ran, not so many centuries ago of being overwhelmed by the Turks, and how ridiculous such an idea now is. The more civilised so-called Caucasian races have beaten the Turkish hollow in the struggle for existence. Looking to the world at no very distant date, what an endless number of the lower races will have been eliminated by the higher civilised races throughout the world. 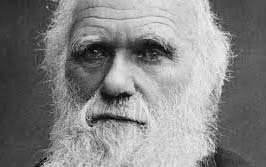 “Evolution must be true because of ethnic cleansing” doesn’t seem quite so convincing an argument to us as it did to Darwin. Outstanding article. I’d say I am going to “get the popcorn”, which is an America phrase indicating an entertaining conflict is about to ensue, but I don’t think any Biologos style naturalists will take the bait. If the argument has not been refuted in centuries it won’t be refuted now just because you extend its natural conclusion out a bit. So, what exactly are BioLogos style naturalists? Are they the same ones that Jon singled out as “metaphysically and theologically uneducated”? Has the “Welcome” mat been rolled up and put away? Van Inwagen may be right that Lewis never gave us an argument for exclusion. Our purpose was not to dispute that exegetical issue. Instead, we have offered an argument for exclusion: given naturalism, mechanistic explanations drain away the causal powers of rational explanations. Consequently, van Inwagen’s objection is undermined. Complete mechanistic explanations exclude personal explanations because the personal or mental causal powers drain away to the mechanistic causal powers. Given naturalism, reasons or the mental have no causal powers. Only the micro mechanistic causal powers at the level of fundamental physics remain. Perhaps van Inwagen would reject our argument, and we are curious how he might reply. Regardless, there need not be a gap in the type of argument from reason Lewis has inspired. As for Richard Carrier, I would think that any argument he rejects is almost automatically right :-). It is rare to get such scholars as Larry Hurtado and Ed Feser to be so dismissive of another’s scholarship. If a man feels that all the movements of his own mind are meaningless, then his mind is meaningless, and he is meaningless; and it does not mean anything to attempt to discover his meaning. Most fundamental sceptics appear to survive, because they are not consistently sceptical and not at all fundamental. Or Thomas Nagel, an atheist but agreeing with Plantinga on the implausibility of true cognition under naturalism (Mind and Cosmos, p27). But can it really be the case that Theistic Evolutionists, in general, support Richard Carrier against C S Lewis? If so, things are worse than I thought. Support Carrier? Nah. I love Lewis, but it doesn’t mean I have to agree with his arguments. In any case, even if his argument from reason is sound, it hasn’t exactly convinced a lot of atheists to change their minds, from what I’ve seen. Incidentally, the refutation of Carrier’s argument was by Darek Barefoot, who was a frequent commenter here for several months. Re-reading Lewis, and some of the subtle points he makes, makes me think he’s been a bigger influence on current Evangelical work on “biblical theology” than one imagines. For example, N T Wright’s stress on the bodily resurrection of the saints, as opposed to “going to heaven” (as in Surprised by Hope) is really Lewis with references. Yet the man in the pew is still thinking about individual salvation to a rather vague heaven. People should go back to Lewis! As for his views on origins, neither you nor I would agree with him on all points, but we have the advantage of 50 years of further knowledge in both science and theology. What is notable is that with a firm grounding in metaphysics, in particular, he saw through the self-confidence of science-orientated people to the limitations they miss. That seems to be something of a rule – William Briggs, on whom I recently posted, has that kind of broad vision of the world from the background of statistics. And amongst our own posters, physicist Ian Thompson can’t be content with a physicalist view of nature because he takes his metaphysics seriously. But you’re right – the argument in this post is the kind of thing that, if I had posted it in the days I was there a lot, would have usually put a stop codon on the thread! This is similar to Carrier’s more recent critique of Reppert, which is that he fails to interact with the science actually available. 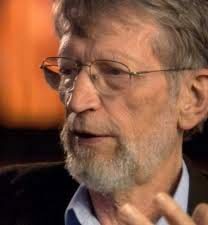 Now, if I were to offer my own metaphysically and theologically uneducated response, I would first note that Plantinga has reformulated the argument in probabilistic, not absolute, form, as Lewis and Reppert had done. (One of Carrier’s complaints.) Thus, Plantinga is not saying a la Lewis that it is impossible for evolution to produce a mind capable of reason; rather, he is saying that it is highly improbable. A pretty big difference. Second, Lewis (and, to a lesser extent, Plantinga) is basically claiming that evolution based on natural selection could not have produced human reason, capable as it is of discovering truth. They are somewhat right, but the reason has nothing to do with their philosophical meanderings. Simply, what we call “human reason” is impossible without symbolic language, whose appearance evolutionary theory really cannot explain. To get to “reason,” one must first go through “language.” Lewis skipped a step. Yet gets to the same place, by the same basic argument: replace “train of reasoning” with “train of conversation” (whether internal or external) and one still has the “mutual exclusivity” between a train of efficient material causes in the body or bodies) and a sequence of intentional arguments, to which they bear no relation (and as the paper I cited points out contra Christian physicalists like Nancey Murphy) supervenience doesn’t solve this problem at all, because it is the physical causation that does all the heavy lifting. So whatever is said about the difficulty of cooepartion for an evolutoionary explanation, the overwhelming problem is that the cooperation involves meaning and truth, both of which require intentionality (aboutness) that cuts across the train of physical cause and effect. Oh, the argument has weight, no doubt about it. It raises a problem, but I think it is more of a probability, as Plantinga frames it, than a certainty, as Lewis does. I just don’t think it’s particularly persuasive to show a person that his position is logically inconsistent. People are perfectly fine with inconsistency. All that really means is living with an unresolved tension, which we Christians do all the time. (Free will vs. Predestination, anyone?) Anyway, I was also reminded of a passage from Pascal that might be one of the earliest observations along the same lines as Lewis and Balfour. This also happens to be the passage where Pascal points out that scientists (philosophers in his day) speak of “unguided processes” as if they were directed. Here you go! “And what completes our incapability of knowing things, is the fact that they are simple, and that we are composed of two opposite natures, different in kind, soul and body. For it is impossible that our rational part should be other than spiritual; and if any one maintain that we are simply corporeal, this would far more exclude us from the knowledge of things, there being nothing so inconceivable as to say that matter knows itself. It is impossible to imagine how it should know itself. “So if we are simply material, we can know nothing at all; and if we are composed of mind and matter, we cannot know perfectly things which are simple, whether spiritual or corporeal. Hence it comes that almost all philosophers have confused ideas of things, and speak of material things in spiritual terms, and of spiritual things in material terms. For they say boldly that bodies have a tendency to fall, that they seek after their centre, that they fly from destruction, that they fear the void, that they have inclinations, sympathies, antipathies, all of which attributes pertain only to mind. And in speaking of minds, they consider them as in a place, and attribute to them movement from one place to another; and these are qualities which belong only to bodies. “Instead of receiving the ideas of these things in their purity, we colour them with our own qualities, and stamp with our composite being all the simple things which we contemplate. We can add to Pascal (according to the paper I cited above) Augustine, Anselm, Descartes, and Kant. Now, I concede the argument to be probabilistic – though note that Plantinga frames it that way at least in part to weigh the high probability of reason being sound (which, of course, cannot be absolutely proved either) against the low probability of natural causes producing it. He thus forces the naturalist who has argued for reason to employ it by rejecting the lower probability, and abandoning naturalism. But my original point follows: that the principal reason for rejecting the argument from reason is the determination to maintain naturalism as a sole explanation of reality, against the higher probability of supernaturalism. We know why an atheist materialist would want to do that, but why would a Christian, unless a strict deist? It can’t surely be respect for Richard Carrier? Furthermore, as I said in the OP, it is quite possible to frame the same argument scientifically rather than philosophically: if the argument carries weight (including the weight of all the authorities named in both our posts), then to insist on exclusively naturalistic explanations must entail either disproving the argument from reason, or blithely ignoring it, or arbitrarily exempting the origin of human reason from science. Au contraire, if one even concedes that the argument is weighty, and has a more than respectable intellectual pedigree, particularly amongst Christians, then the only grounds one has, as a believing scientist, for ruling supernatural causation out of nature is a professional convention with a shaky philosophical foundation: in other words, it’s gaming rather than truth-seeking. that when interface perceptual strategies compete with any realist strategy, the former will drive the latter into extinction (Hoffman, Singh, and Prakash 2015, 1487). Not co-existence, which is an option. Extinction. You saw the problem with the argument in Haldane’s reply to Lewis that I quoted above: “I don’t expect that anyone will be able to give even a moderately satisfactory account until a lot more is known about our brains. I don’t think thought is a mere by-product of physical or chemical processes in these organs…. For this reason I think our account of thought will have to wait for our account of our brains.” No matter how much philosophizing one may do on the subject of thought or consciousness, the atheist is free to punt the ball and “wait for science” to solve the logical problem. They can do this because science is actively researching the origins of human reason. Given that fact, why should they just accept the word of a Lewis or a Plantinga that it is logically improbable (not impossible) that an answer will be found? You’re asking them to render a verdict while the evidence is still being collected. Would you throw in the towel, in their shoes? But, honestly, the bigger problem for me is the aspersions that you cast on believing scientists and TE/EC/”BioLogos-types.” Since you, yourself, accept evolution and would describe it as “God-guided” or “God-controlled,” I have a hard time understanding why you feel the need to constantly attack those who share that same conviction. Would you throw in the towel, in their shoes? To be honest, I see the real logical contradiction to be in the evolution of consciousness (which is what Nagel concentrates on, but Lewis didn’t seem so concerned about, probably because he attributed a minimalist view of consciousness to lower animals) rather than reason. To look to explain subjectivity via physicial phenomena is as foolish as trying to find the experience of redness in brain cells. I think a dispassionate look at the brain physiology makes it vanishingly unlikely that a clear evolutionary account of reason could ever be given – there is not enough knowledge to give anything more than a plausible narrative account even of the evolution of any complex organ. So in effect the materialist is hiving off all the things his metaphysics is too limited to encompass to some mythical future – it’s the philosophical equivalent of Mr Micawber’s increasing piles of IOUs. You might sympathise, but you know he ought to have kept shorter accounts. The “in their shoes” approach is intriguing, though: if one thinks that someone is operating on false metaphysical principles, does one actually put oneself in their shoes, or does one keep reminding them how their feet are bing unnecessarily pinched? How do I advise if I put myself in the shoes of a racial eugenicist or a logical positivist? Since you, yourself, accept evolution and would describe it as “God-guided” or “God-controlled,” I have a hard time understanding why you feel the need to constantly attack those who share that same conviction. I don’t attack those with that conviction, at least when they act consistently with it. The paper I cited in my first reply to you speaks to that. If an event can be explained entirely by one set of causes, then adding other causes is unparsimonious – Occam’s razor removes the superfluous entities. If God guides, or directs, evolution, then the material efficient causes are no longer a sufficient explanation for the outcomes, and one is, as any atheist will point out, claiming there is something extra to account for them, to wit, the design, or final purpose, of God. If one goes on to say that, in principle, that guidance or control is entirely hidden from investigation, then in principle it is also absent, because the physical causes explain the outcomes without remainder. One is left with only minimal work for God – that is, the creation of laws and initial conditions, and “mere conservation” of physical existence. And in many iterations of theistic evolution I have seen over the years, those are all that is allowed to God’s activity – it’s a God of the gaps, only with “natural causes” filling all but the first origin of nature. If one operates by a methodology that takes physical efficient causes as sufficient, as a working assumption, one has excluded on principle the observation of God’s guidance and control, and (as Lewis pointed out so long ago) one will tend ever more to the sufficiency of the material causes, having never seen anything more by choice. That’s why I mentioned the “terms of engagement” of the Bugg thread regarding human origins, whereby God was assumed not to have intervened – the game was played entirely by population genetics. So, in principle, one believes God guides or controls evolution, and the argument from reason, if valid, gives an instance where this must be the case, natural selection being inappropriate for the very speciation under discussion. After 700+ posts, there is now an expert consensus that no 2-person human bottleneck is possible after 500K years, and that therefore YECs have no leg to stand on … everybody having forgotten that the whole discussion was conditional on excluding the guidance or control of God, or (for those who accept the argument from reason) the necessity for supernatural action along the way. So one must also put oneself in the shoes of someone who accepts Occam’s razor – can one blame her for insisting that if God is guiding or controlling evolution, the TE must demonstrate how and where. That’s the approach of Cornelius van Til and his presuppositional apologetics. Francis Schaeffer borrowed a lot of it in his own arguments. I wasted a lot of my own time and effort on it, too. I’ve never actually seen an atheist converted by philosophical arguments about the existence of objective truth or an absolute moral standard. Have you? Perhaps such people exist, but I’ve never met one in the wild. The “in their shoes” question isn’t hard to answer, but I suppose it depends on whether you want to persuade the lost or argue with them. Odd. Perhaps I’m missing something, but it seems you are distancing yourself from “that conviction,” as if you don’t believe it yourself. Have you changed your mind about evolution? If you feel you don’t attack people who believe that God guides or directs evolution — commonly known as EC or TE — then I don’t know what to say. As a regular reader, I see it on a regular basis. We should also add a footnote that both Lewis and Plantinga held EC/TE views. If an event can be explained entirely by one set of causes, then adding other causes is unparsimonious – Occam’s razor removes the superfluous entities…. I left off the rest because I think the whole approach is flawed. Methodological naturalism locks science into a box with no escape. The materialist is limited to speaking about “facts” in the world. Such things can satisfy the head, but they cannot satisfy the heart. The materialist can say how he thinks mankind was created, but he must remain silent when it comes to the purpose of our existence. Why should we want to change that? We have the field to ourselves. I won’t jump into the bigger argument, but I have a question of clarification. Do you mean “converted to Christian faith”? Or only “converted to belief in the existence of objective truth or an absolute moral standard”? I think that some atheists have been converted by philosophical arguments to belief in objective truth or moral standards, and we have at least one case where an atheist was converted by philosophical arguments to belief in the existence of a God. I mean Antony Flew. He thought that science had unveiled a set of connections in nature which were best explained, to his philosopher’s mind, by design. So philosophical arguments can sometimes convert people to things. To Christian faith? I’m not so sure about that one. I expect that philosophical arguments often prepare the ground for Christian faith, by removing intellectual obstacles, but don’t themselves generate it. Odd. Perhaps I’m missing something, but it seems you are distancing yourself from “that conviction,” as if you don’t believe it yourself. Jay, you’re reading too much into a phrase which I simply lifted from your own post. My critique of the common modern form of theistic evolution has been essentially unchanged since I started reading both its academic apologists (like Howard Van Till, R J Russell, or John Polkinghorne), and its more popular writers like Karl Giberson and Darrel Falk, with the last of whom I interacted extensively, back in around 2011. And, I must add, when I read the older generation of TEs like B B Warfield and Asa Gray, who were far more upfront in their avowal of divine action in evolution, but are noticeably absent in EC discourse. It’s because Lewis and Plantinga both have a very different – and actually far more provisional – concept of TE that I draw their work to the attention of readers. The former precedes the current culture wars, but is swimming across his dominant scientific landscape by insisting on teleology and – as importantly – giving an account of it that challenges the Darwinian one as he understands it (essentially classic Neo-Darwinism by his time). 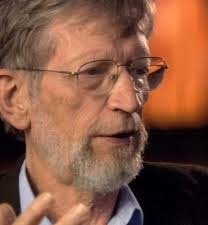 Plantinga has been sharply criticised by the EC community for his sympathy to design arguments – and indeed, for his insistence on arguments against the inviolability of the laws of nature, which he addresses in the context of creation, rather than of daily life. The materialist is limited to speaking about “facts” in the world. Is he though? Or does the “industry standard” of his naturalism simply give him carte blanche for speaking as if science speaks for the whole of reality? The materialist can say how he thinks mankind was created… In my experience, in most of the cultural environments in which scientists have influence (popular science, education, even political discourse), the materialist says that he knows how mankind evolved, and the invocation of God – whether in final, formal or efficient causation – is dismissed as “God of the gaps” thinking, or mere superstition. Why else ask presidential candidates their views on evolution?. Perhaps in the case of final causation (your “purpose of our existence”) they may cut some slack for believers, but that’s because they know that God can have any pupose he likes, as long as he keeps out of implementing it in any way. S J Gould, as an atheist, was happy with those non-overlapping magisteria. But so are many ECs, when they talk about the autonomy of nature (Polkinghorne), the selfishness of evolution (Giberson), its evil, wasteful or erroneous outcomes (Falk, Ayala and many others), ontological chance (Applegate, Venema and others) and, of course, the general and strident criticism of all inferences to design. Purposes are achieved through efficient causation, direct or indirect. So any truly theistic evolution or evolutionary creation must include a theology of nature that goes beyond materialism to encompass the work of God. I suspected as much, but you’ve been a little tough on science lately, so I was starting to wonder if you had changed your mind. I wonder how long ago that was? I could be wrong, but as far as I’m concerned, the conflict between ID and TE/EC is running out of steam. To me, it is irrelevant to the bigger picture, but that’s just me. Or does the “industry standard” of his naturalism simply give him carte blanche for speaking as if science speaks for the whole of reality? But it is easy to point out when he is speaking about “facts” and when he is drawing unwarranted metaphysical conclusions. That’s an argument you can win. What is not so easy — to the point of near-impossibility — is convincing scientists to change the method they have used successfully for centuries based on complaints from a rag-tag group of philosophers, theologians, or a lawyer (Phillip Johnson). So any truly theistic evolution or evolutionary creation must include a theology of nature that goes beyond materialism to encompass the work of God. By definition, all of them go beyond materialism to include God. I don’t think they necessarily need to describe exactly how, when, or where God works, since that goes far beyond the scope of our knowledge of divine power and its exercise. But at this point, the questions are all internecine squabbles about theology. The only answer that I would rule out and argue against would be open theism. Front-loading? I don’t think it’s biblical, but I don’t think Arminianism is entirely biblical, either, and that disagreement has lasted centuries.